Ronald McDonald House Charities is participating in the 2016 Birdies for Charity fundraiser and would love to have your support! Charity begins on the golf course at the Regions Tradition. You have the opportunity to make a charity or a school a big winner by participating in the Birdies for Charity Program. Participating charities receive every single penny of the donations generated! And donors have a chance to win great prizes — every week! Regions Tradition is May 16-22, 2016, but the fundraising has already started and lasts until June 10, 2016. You can pledge as little as 5 cents for each birdie made or a flat donation of as little as $20 and by selecting RMHCA as your charity of choice — we will receive your donation based on the number of birdies made by the Champions Tour players during the tournament week (or the flat amount you designate if using that option). On average, there are about 900 birdies during the week. In the past, this fundraiser has raised over $515,000 in total! 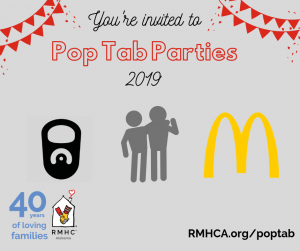 More than 75 charities typically participate and we would be honored if you would select Ronald McDonald House Charities of Alabama as your charity of choice. 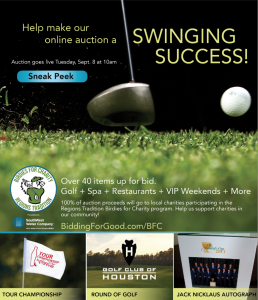 Another exciting part of the Birdies for Charity fundraiser is the Online Auction that launched on September 8th! Don’t delay because this auction ends on September 24th at 8:00 pm. 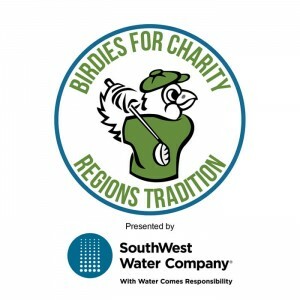 For questions about Birdies for Charity, please contact Allie Dunlap: adunlap@regionstradition.com or (205) 262-2815.